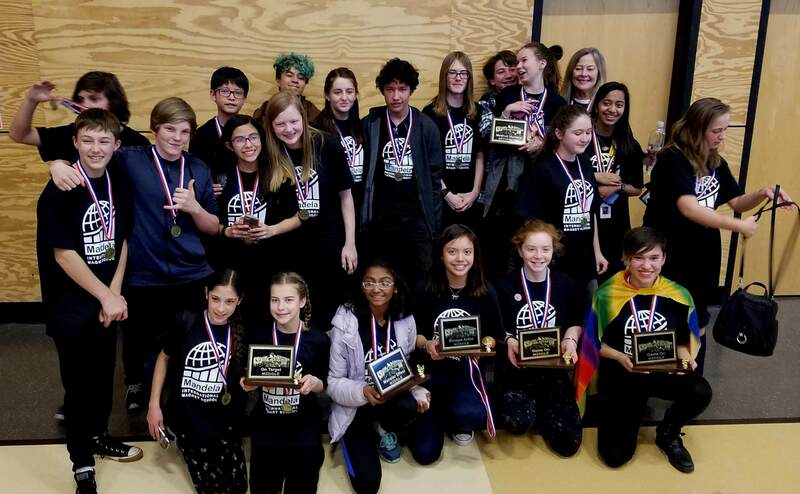 Our first year: MIMS took six teams to the NM DI State Tournament, and left with three 1st place teams, three 2nd place teams. Globals: We now head to the Global DI Tournament in Kansas City, MO, to compete with teams from all over the world, and need to raise $16,500 JUST for the registration fees. YOU can help us reach our goal - We are hoping to raise $1,000.00 from the Dollars4Schools website. We are raising funds for orchestra students from Mandela International Magnet School to travel from Santa Fe, NM. to our sister city - Icheon, South Korea - and participate in a ten Sister City Global Music Concert. These funds will be used towards air travel expense. cheon City Hall is funding the in country expenses which include housing, meals, airport pick up and drop off, and tourist activities. The concert date is August 2, 2019, with preparation and practice sessions starting July 30. Mandela International School is an International Baccalaureate school and this cultural experience will contribute to their development as Global Citizens. This is a rare Sister City opportunity. These students are inspired to learn about different cultures. We believe that shared music across cultures is essential for cultural understanding. A shared cultural understanding is the driving force for these students. They sacrifice, study diligently, and are ready to extend their hand in friendship. I teach a diverse group of students starting with Kindergarten through 6th grade. The students have read every book on our shelves and are itching for more. 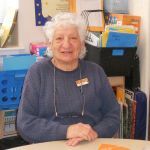 We would appreciate funding for more books at all reading levels. 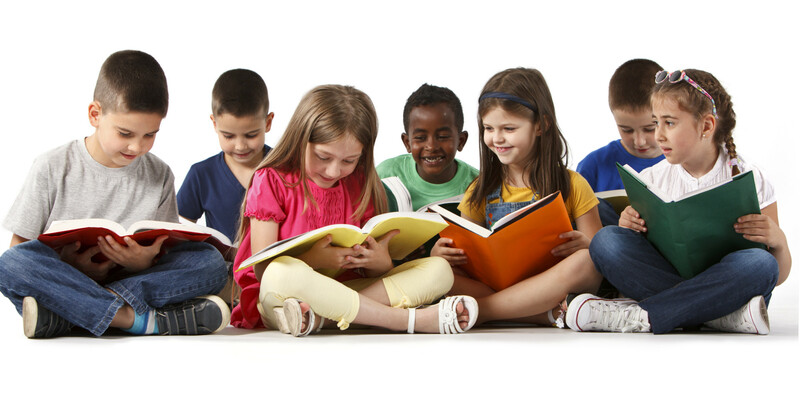 I will utilize the books to support reading at all grade and ability levels, intervention and enrichment. The books will be shared with general education classroom also. I am requesting $500 to fund the transportation costs of taking my students to Hummingbird Music camp. This camp is a wonderful learning and bonding experience for these kids, one that they will remember for the rest of their lives. Hummingbird Music Camp is a wonderful learning and bonding experience for these kids, one that they will remember for the rest of their lives. Many of these students have never experienced this sort of trip and most rarely leave Santa Fe. My students undertake a 3 month study of Don Quijote and conclude the project by writing their own adventures, in Spanish, for characters from the story. The projects are presented as a celebration/presentation of their work for their families. I am requesting funds to support transportation, supplies and incentives for my students. Restorative Justice is a non-traditional class, where we work with students on building emotional intelligence and applying it through our Big Buddy Program, where they mentor younger, elementary students. 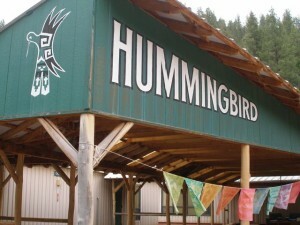 The Acequia Madre Choir and Band are planning their third annual music camp and retreat at Hummingbird Music Camp! Students will sing and play, participate in camp activities, have a campfire, and stay overnight at Hummingbird music camp in the beautiful Jemez mountains. Students will get to work with a guest teacher and finish the retreat with a concert for their families. Funds will help offset the cost of music camp and provide scholarships for students who are unable to pay their cost of attendance. 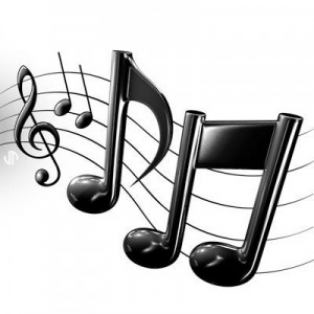 I am looking for donations to help my 8th grade class go on a choir tour to Anaheim, CA May 2-5. My 8th grade choir will be the first in their school history to travel to California for a prestigious choir festival. They will get to perform for some of the best judges and and attend an awards ceremony at Disneyland. Not to mention we will take a trip to the ocean which some of them will be seeing for the first time. These kids may never have a chance to travel like this again and I do not want finances to stop our dreams! If you have ever been a part of a music program, you know that music changes lives and this trip could change the trajectory of the rest of their lives. We teach students to actively engage in democracy. 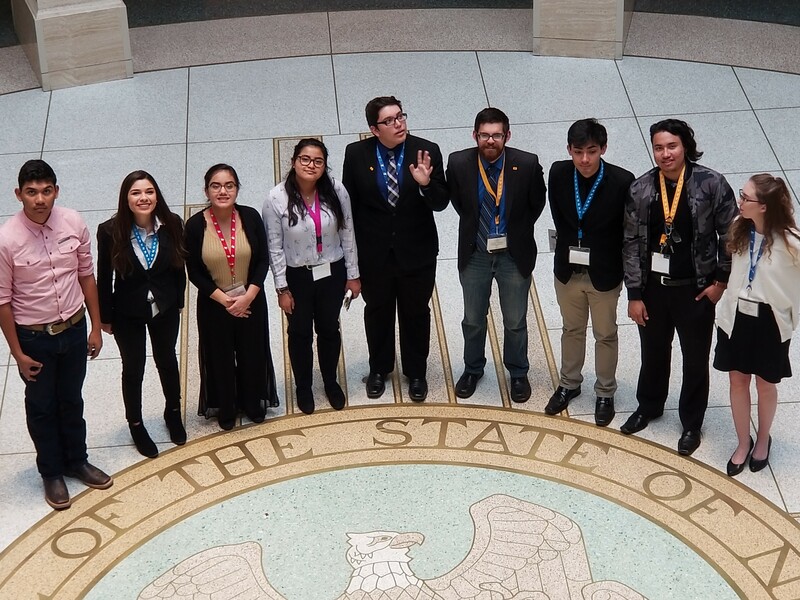 Twelve students participate by researching, writing and debating bills with students from all over New Mexico. This takes place at the Roundhouse--our state capitol. Capital high students learn all aspects of policy making. They learn to think on their feet, and address issues from all over the state: gun control, green energy, film making incentives, economic development, safety and DWI prevention etc..There is also a judiciary where students learn to argue both sides of a brief regarding a contemporary legal case. Other students act as justices, like in an appellate court. A fourth branch in which students are involved is the press. 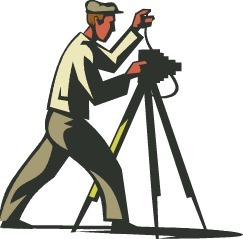 They can do print media through a newspaper or video media. The cost per student is $200. This includes overnight at a local hotel, meals and miscellaneous supplies. SFHS Dancers are returning to New York City for our third trip (2015, 2017, 2019) to take dance classes. 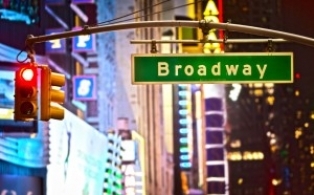 These classes at professional studios, Broadway Dance Center and StepsNYC, are $20/each. We are seeking funding to allow each of the 15 students to take a full schedule of four classes each. They will take classes alongside professional Broadway and ballet dancers. This trip brings Santa Fe High dance students to the heart of the American Theatre to experience training at the highest level. Two volunteers are being paid to set up a resource room that will make science materials available to middle school science teachers for hands on explorations. We have a number of units that were replaced in the elementary grades that contain basics that can be used in the middle school classes. These classes have new teachers who are relying on text books and basic materials purchased with their own funds. This program will help enhance their lessons with hands on explorations for students. I am requesting $500 to pay 2 volunteers who are sorting through various donated materials, Some funds will also be used to fill in gaps for additional materials. I request a funding for El Camino Real Academy (former Agua Fria Elementary school) piano students. El Camino Real piano students are very talented group of students. They work hard and play the piano very well. So many of them dream of being students of New Mexico School for the Arts. However they do not have funds for a piano tutor. I help them as much as I can after dismissal of school, but they need a professional piano teacher who would help them to prepare for audition for NM School for the Arts. Audition for the School of the Arts are usually held at the beginning of February. It would in the best interest of my students if they could receive financial help as soon as it is possible, so they can get ready. 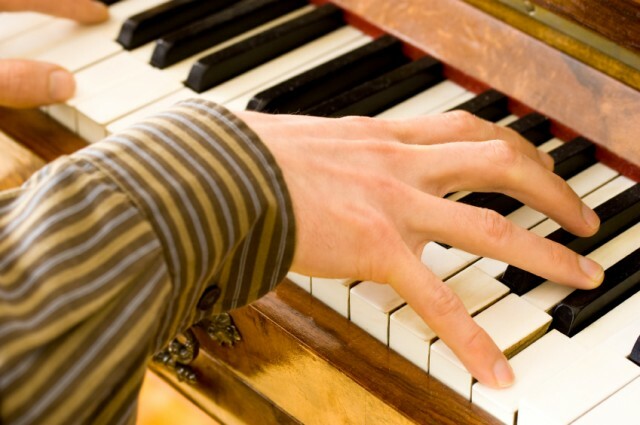 Please, help my piano students. As the SFPS Volunteer Coordinator, and in an effort to encourage a more diverse volunteer population, I would like to offer paid background fees for up to 50 volunteer applicants to distributed throughout 5 different schools within the Santa Fe Public School District. Certain demographic criteria, including a residence radius of applicants who live within 6 blocks of the schools' attendance area will be required to be eligible for usage of the background check funds. Please support photography students participating in a hands-on/experiential 19th century photographic history project - Hands on History of Photography. This project will directly deal with the 1851 discovery of the collodion wet plate process. Students will read historical texts, view historical images and make in-camera renditions of modern day collodion photographs. 8th grade science is physical science, including physics and chemistry, and the Bradbury is the best place in the state for this. My students have never been. At the Bradbury they will learn about cryogenics and liquid nitrogen, which is critical to a deep understanding phase change and chemical versus physical interactions; about radioactivity and the atom; about our history; and about rockets and forces, motion and gravitation. The museum visit will anchor conversations and activities in class for the entire spring semester. At this dual language school I teach my classes in Spanish, but the kids are bilingual. The MASTERS Program is an early college charter school on the campus of SFCC, serving a diversity of students, many of whom are the first generation in their families to go to college. The program allows students to move at their own pace and integrates high school classes with college classes based on each individual. We also provide a strong supportive community and service to the greater Santa Fe community. Friday Projects are service-learning based and take our students in faculty-led groups out into the Santa Fe community every Friday. 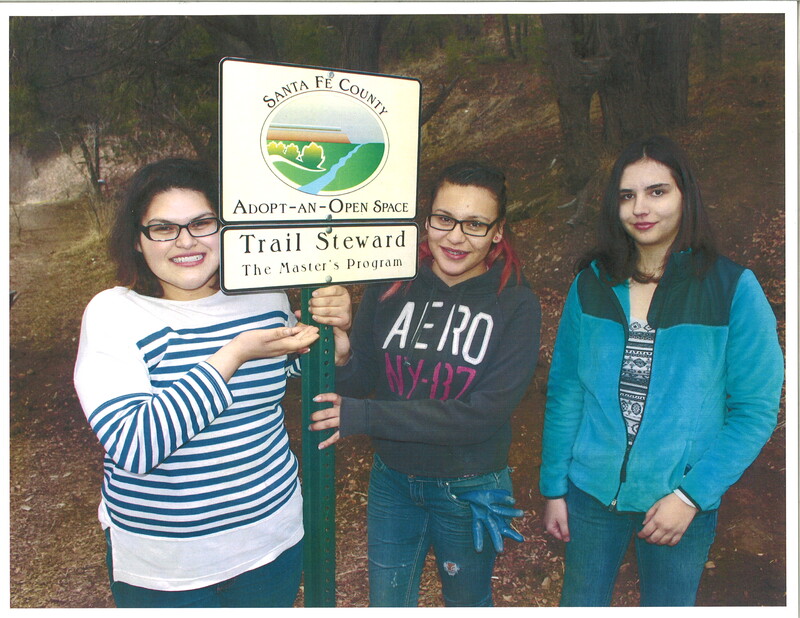 From the Humane Society, to The Horse Shelter, to Habitat for Humanity to Pinon Elementary School and to working with the county on trails, and more, we are building character and giving teens a sense of value with this program. Our request is for support running a bus that can take students to these projects. As a charter school, we cannot afford our own buses and the cost of renting each Friday is approximately $400/day.